Opinion: in his first Opinion column for Dezeen, Dan Hill reflects on the recent sale of Finland's two most iconic design brands - Artek and Nokia - and suggests what the country's design industry should do next. “John le Carré said the only way to write about a place was after visiting it for a day, or after a long life once you'd moved there… Time between those two lengths didn't lend more certainty, just detail,” wrote Rosecrans Baldwin in Paris I Love You But You’re Getting Me Down. On that basis, I am not well placed to write about Finnish design culture. Having lived in Helsinki for two years recently, I can only really guess at the deeper resonance of Vitra buying legendary Finnish furniture brand Artek, following hot on the heels of Microsoft buying legendary Finnish cellphone brand Nokia. But guess I will. Within a single week, not long after football's transfer deadline day, Nokia's "devices and services" division, which contributed hugely to Finland's economic and cultural growth over the last two decades, moved to Microsoft for a Gareth Bale-esque $7.71 billion. This deal was swiftly followed by Artek, formerly owned by the Swedish investment company Proventus, joining furniture's Champions League, via Vitra. Although this small country of five million people has also produced Iitala, Marimekko, Kone, Fiskars and others, these two firms bookend a first era of Finnish design, with Artek founded by the Aaltos and co. in 1935 and Nokia's dominance of the global mobile phone sector six decades later. Where do these "exits" leave Finnish design? Under Marko Ahtisaari, a coherent and bold design culture had recently emerged at Nokia, with their Lumia phones drawing on a distinctly European heritage to produce an object, at least, that moved beyond Apple and Samsung. However, the wider culture around Nokia over the last decade had already - and fatally - betrayed a lack of understanding of the value of design. The software suffered badly and although intriguing handsets occasionally emerged, one felt that design was generally no more than an indulged child amidst what was really a masterful engineering and logistics machine, wrapped in the PowerPoint Palace's bureaucratic managerialism. Once Apple, and then Google, had deployed a richer, strategic approach to design in order to seamlessly orchestrate people, apps, media, devices and the interfaces between them, Nokia had no answer. Neither did Microsoft, for that matter. Hence these massive brands were left looking like the two kids picked last in the school playground, staring awkwardly at their boots, red-faced and uncomfortable in last year's kit. With no other option than each other, Microsoft bought Nokia's design function - minus Ahtisaari, who is moving on - simply to stay in the game. Meanwhile, Artek had been looking forward, with Ville Kokkonen's seasonal affective disorder-defying lamps building on imaginative research. As with Nokia and Ahtisaari, Artek benefits from thoughtful designer leadership in Kokkonen; both draw from wide-ranging perspectives well outside of traditional design practice. Yet Artek's essential problem is that the entire furniture business is struggling for cultural relevance. Furniture is important for putting things on, yet unlike in the mid-twentieth century, it says less and less about our age. We know that, as architecture theorist Kazys Varnelis puts it, "technology is our modernity" now; inner space, not interiors. So the questions posed by these acquisitions are more fundamental than those of the balance sheet, where both moves make sense commercially. The question is cultural: Artek was born with an avant-garde mission, whilst Nokia was the first to capitalise upon the most influential cultural object of the last three decades. So this week of deals actually poses the question: what does Finnish product design do now? There are two obvious trajectories to ascribe, twin arcs towards a twenty-first century industrial design. The first is in a new form of interactive object, as active partners of people, socially and culturally, via Internet of Things technologies, absorbing the essence of Varnelis's "new modernity". Here objects can be augmented with emotional expressiveness and responsiveness, with variable character and identity, via interactions across diverse social relations and contexts. In other words, what's Finnish for Little Printer or Fuelband? Nest or Glass? Or better, whatever's next? Might this be a big ask for a culture whose national stereotype is the taciturn man likely to embark on a devastatingly lengthy Finnish silence at any moment? Like all stereotypes, this is both true and not true, and fortunately there are enough (North) polar opposites to refute it. Yet their late urbanisation means Finns rarely possesses a naturally social culture. It is a culture rooted in the tangible, the material, the output of designer Tapio Wirkkala's and Kaj Franck's peerless craft. After all, Nokia lost it when Apple veered towards people over things. The Finnish language is at its most beautiful in the ancient series of soft, weathered words denoting the physical reality of landscapes and bodies; "chipped sounds, words eaten away by ice and silence", as novelist Diego Marani has it. Yet there is effectively no word for "please". There is the gloriously levelling ritual of cheek-to-cheek encounters in the sauna, a unique social space recently revived by NOW in Helsinki. Equally, the päiväkoti day-care system for pre-school children is one of the finest learning environments you can imagine, setting up the nation’s world-class results. It is human-centred, with an emphasis on both material and environmental exploration - most time is spent outdoors - as well as carefully tended social, cultural and emotional growth. Then we must note the Nordic region's unlikely but deserved emergence as a culinary leader, well-represented in Helsinki. This provides more evidence, with its emphasis on the nuanced, often intangible differentiators of quality, service, provenance, ritual and theatre. Could Finnish design culture augment its innate facility with the inert via this empathetic understanding of people, ritual and service? If that is a move outwards from the object, there is another trajectory in the opposite direction, towards a different kind of performative fabric, via architecture at the atomic scale. The 50,000 Nokia employees not bought by Microsoft - still under the Nokia brand, focused on networks, mapping and advanced technologies - recently received a €1 billion EU grant for research into graphene, the "indistinguishable-from-magic" one-atom-thick material that is the thinnest and lightest yet produced, 300 times stronger than steel, transparent, bendable and highly conductive. Similarly, Finland has Aalto University's world-renowned Nanotalo lab, with its focus on biomimetic nanocomposites, particularly derived from Finnish timber. Artek's Kokkonen is a regular visitor. Yet its facility is separated from the design faculties, lost in the university's misguided attempt at an urban plan without the urban. Connect the power of this research to Finland's design culture and its potential becomes tangible, just as with 1930s modernism that fused science and engineering with design in order to produce Artek. Finland could take its design culture forward once again, now all that is solid - stone, fabric, ceramic, glass - has melted into an air of vertically-integrated software, services and media. Perhaps the next evolution is in digital/physical hybrid objects possessing familiar and treasured materials woven with two-dimensional nanocomposites, and allied with responsiveness, awareness, and character by virtue of having the internet embedded within. Finland might be perfectly placed to pick up that gauntlet. But will they? Despite a culture borne of survival, Finland has an incredibly high standard of living. You might occasionally need to summon a bit of "sisu" on a pitch black, minus 20 degrees January morning, but it's nothing a Woolrich parka can't fix. In deep summer or deep winter Helsinki - don't ask about November - it is difficult to imagine anywhere better. Yet in places, that success bred complacency, and by "places" I mean the pre-iPhone era Nokia and some of its other heritage brands. These last weeks suggest that Finnish design can no longer afford to be complacent. Nokia single-handedly contributed a third of Finland's entire corporate research and development as recently as last year; that is unlikely to happen again. Similarly, Artek has to try hard to prevent the sheer weight of its gilded past from holding it back. People might say, "those E60 stools won't sell themselves!" Actually, they probably will. What they sell next is the question. So building on and respecting these rich legacies is important, but moving on is more important. Again, Finland has every chance to do so. Soon the Finns will witness "ruska" spread across the nation, from Aalto's moonbase-style buildings in Rovaniemi near the Arctic Circle, down to the rapidly greying Baltic off the capital. Ruska occurs when birch, larch and rowan trees explode into russet tones of richly saturated purples, reds, yellows and oranges, before shivering off their leaves for winter. It's an extraordinary vivid and life-affirming cycle. Finnish design needs a similarly florid and dramatic replenishment. While the trajectories sketched above are mere suggestions, the recent seismic activity at its two most iconic brands, Artek and Nokia - one a tremor, the other a quake - provides the perfect opportunity for re-imagining Finnish design in the twenty-first century. 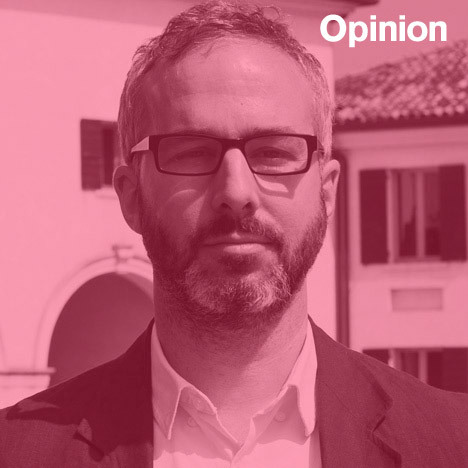 Dan Hill is CEO of Fabrica, a communications research centre and design studio based in Treviso, Italy. He is an adjunct professor in the Design, Architecture and Building faculty at University of Technology, Sydney, and his blog City of Sound covers the intersection between cities, design, culture and technology.